DAPHNE, Ala. – United States Sports Academy alumnus Darryl Nance has been presented the Frank Kovaleski Professional Development Award, a national honor given annually to an administrator who has made significant contributions and demonstrated excellence in professional development at the local, state and national levels. 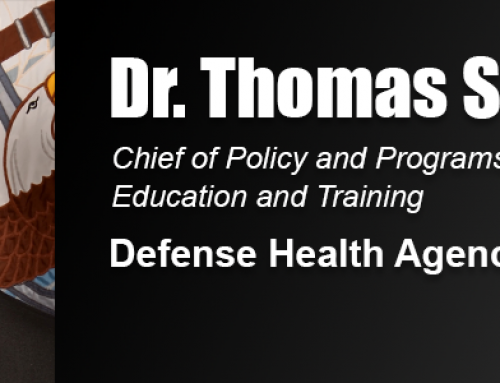 Nance earned his Master of Sports Science degree in sports management from the Academy in 1991 and his bachelor’s degree from Furman University in 1985. After nearly 30 years as a high school coach and teacher, Nance has served as the director of athletics for Greenville County (S.C.) Schools since 2015. The Frank Kovaleski Award is presented by the National Interscholastic Athletic Administrators Association (NIAAA), of which Nance is a member. Along with his work for Greenville County Schools, Nance has taught leadership training courses for the NIAAA to athletic administrators in South Carolina. 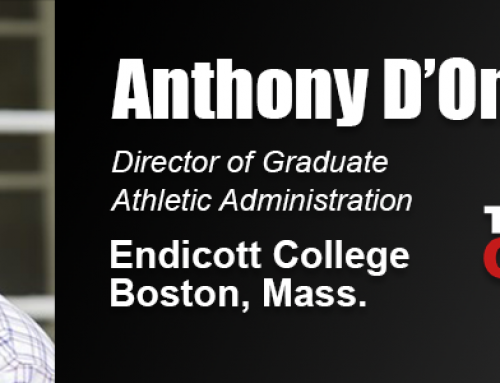 He has also taught for the NIAAA at the annual National Athletic Directors Conference. Nance said his career as an athletic administrator began instantly after his graduation from the Academy. “The Academy curriculum was perfect and every class I took I was immediately able to use information in real time, real world applications,” Nance said. “As the purpose of a master’s degree is to get a deep understanding of specialized material, the United States Sports Academy truly delivered. My undergraduate degree is from Furman University. The Liberal Arts education there is among the finest in the country and if anything Furman taught me how to think and exposed me to many varied topics. Nance said winning the Kovaleski Award was a true honor, and reminded him that even with his obligations as the director of athletics for a school system and to the NIAAA, he is foremost an educator. Nance said his Academy degree and internship program helped him to find employment in athletic administration quickly after his graduation. 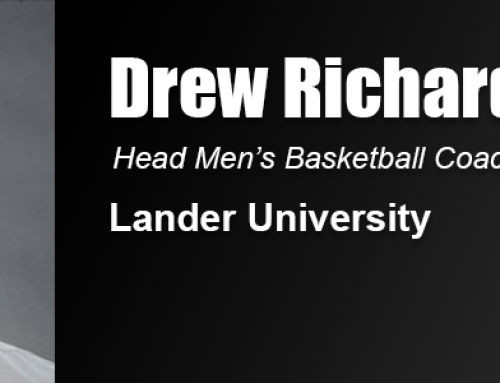 His career includes service at Shannon Forest Christian School in Greenville, then 19 years as head boys basketball coach and athletic director at Wade Hampton (S.C.) High School (WHHS). “I was able to go into athletic administration following graduation from the Academy,” Nance said. “I remember thinking after doing my internship ‘who would be crazy enough to do this job?’ A few months later I was an athletic director at a small school, teaching five classes and coaching three sports loving every minute of it. I loved that deep interaction with the students and watching them mature and grow, through both successes and failures, and being there to support them through either. 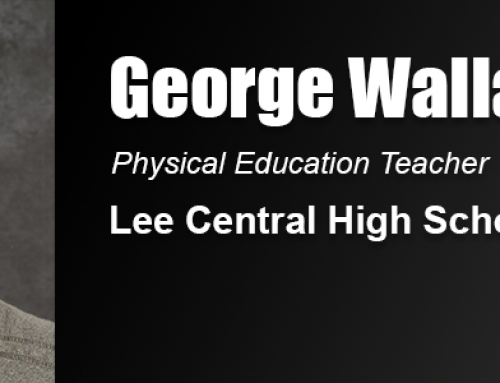 At WHHS, Nance led the Generals boys basketball team to an undefeated season and state championship in 2011. In basketball, he compiled a 415-202 record with five state final four appearances. He also coached football, baseball, softball, volleyball and golf at WHHS over the years. “The numbers never mattered,” Nance said. “It was always about the team, the players, the assistant coaches, the parents and the family atmosphere that we built. I remember individual games and performances, wins and losses, but the record never mattered. “I’m thankful to the Academy for this opportunity,” Nance said. “I knew as a junior in high school that I wanted to teach and coach. I loved history and had great teachers and I loved playing sports and had some great coaches. I enjoyed school and it was a natural fit for me. Nance is an NIAAA Certified Master Athletic Administrator and a Certified Interscholastic Coach, awarded by the National Federation of High Schools (NFHS). He is a member of the South Carolina Athletic Administrators Association (SCAAA). Nance has also been awarded the NIAAA State Award of Merit, the South Carolina Athletic Coaches Association’s Athletic Director of the Year and NFHS State Basketball Coach of the Year.